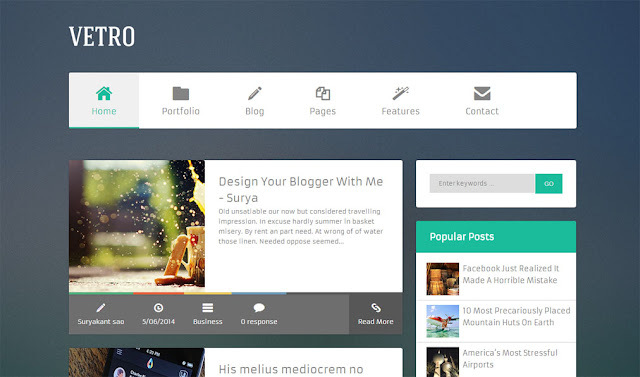 Flat Vetro Magazine Blogger Template is flat in design and also we have added a twist of magazine. With the union of two designs this theme is the unique and one of it's kind. Along with the unique design this blogger template is the best in terms of SEO. If you are in search of any SEO optimized blogger template then it will end up your search.